Here’s an interesting fact, according to the BBC, the famous Trevi Fountain located in Rome, Italy has nearly $4,000 in mixed coin currency thrown into it each and every day! Problem is, not many us “regular” folks own a world-famous tourist attraction, and even if we did, we’d still have to figure out how to start the tradition of the masses throwing loose change in it. So, why are we talking about the Trevi Fountain? 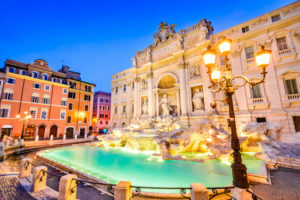 We talk about the Trevi Fountain so that you can understand that even “small” amounts of money, if consistently saved and accumulated over time, eventually become larger amounts of money pretty quickly. But who wants to collect coins all day? And do people even use coins as currency anymore? Aren’t most folks usually using a credit or debit card instead of cash to buy what then need nowadays? We think so, and so did the folks who created the Acorns App. You see, the folks who created the Acorns app created a process whereby their users are able to “collect” and “save” their loose “change” rounding up any purchases that are made using your debit card to the nearest dollar! And then, it takes that money that has been collected and “invests” it for you! We’ll, we thought so, which is why we choose to take a closer look at the Acorns app and write this review so that you can get a better idea if you think it might be something that can work for you, as it has for so many others. Acorns, AKA Acorns Grow, Inc., is the name of the company that created the Acorns mobile app. The Company is headquartered in Newport Beach, CA. The Company’s founders include Walter Cruttenden, Jason Martell, Mark Dru, Jeff Cruttenden, Justin Mu. One of its largest investors is PayPal. Acorns has already been able to raise over $90,000,000 in venture funding. Acorns is a well funded innovative start up that is well on its way to being the next big thing. So, what is the Acorns App? The Acorns app for both iPhone and Android, is considered a micro-investing app. There are currently over 2 million investment accounts at Acorns. It is part of a growing market of Robo-Advisors, where little to no human intervention is required or offered. Some “experts” forecast the robo-advisor market will grow to over $1,000,000,000,000 in assets under management in the next 3 years. That is a lot of zeros! In short, the Acorns app is a mobile application money saving app that collects your spare change by rounding your purchases up to the nearest dollar and then invests it in different investment portfolios comprised of 6 ETFs (electronically traded funds), ranging from conservative to aggressive growth. Acorns uses Fractional Share Investing that allows you to take part in investing into large companies, such as Amazon or Apple, but with investments as little as $5. Acorns is a robo-advisor app that makes you money* by taking your “spare” change and putting it to use by allocating it into computer managed investment accounts.These investment accounts are called electronically traded funds, or ETFs. Just like all investments, you choose how aggressive you want to be. If you want low risk, you’ll typically choose investments that are considered low risk and low return. If you’re looking for bigger potential returns you might go for moderately aggressive, which of course increases the risk but increases your potential return. You have 5 ETFs to choose from. You can choose conservative, which is made up primarily of government and corporate bonds. The next choice is moderately conservative, moderate, moderately aggressive, and aggressive. The aggressive portfolio is comprised entirely of stocks. The portfolios were designed with the help of Dr. Harry Markowitz. Dr. Markowitz is a Nobel Prize-winning economist and according to Wikipedia, he is best known for his work with modern portfolio theory. Modern portfolio theory takes the expected return and weighs it with the potential risks, and says that given two equal portfolios, people want the one that is less risky, particularly if the return is similar, or something like that. Acorns also utilized the expertise of leading investment management companies Pimco, Vanguard and BlackRock. Why reinvent the wheel when perfectly good models are already available? How does money get in your Acorns App account? You connect Acorns to some of your bank accounts and specify which bills you want to “round up”. For example, if you buy gas for $22.25, you can have it round up to $23 and invest the .75 cents. Or ,say you get a morning coffee for $2.70, then you can invest the 30 cents. And over time, depending on how frequently you use your credit card or debit card, your bank account can really begin to grow up. Roundups are the primary advertised means that you fund your Acorns account, but you can also deposit money into your account. And just like the small amounts gathered via Acorns’ “round up”, you can contribute as little as $5 at a time with your own deposits. Another option is to set up daily reoccurring investments into your Acorns app account. You can choose an amount starting as low as $5. Finally, you can also deposit larger investment sums into your Acorns bank account. If you want to stick $1,000 a month into your account, no problem. In this way, Acorns works in much the same way as other robo-advisor accounts. And here is a great bonus from shopping with the Acorns App, if you shop with Acorns’ Found Money Partners, the participating companies will invest in the app for you. The list of Found Money Partners is still somewhat small, but it is growing. As Acorns continues to grow, we expect the list of Partners to grow with it. Please note: You need to link a credit card or debit card to your Acorns account in order to get credit for your purchase with one of the Found Money Partners. How Does Acorns App Make Money? There are basically three plans that Acorns offers. You don’t choose which payment plan you are a part of. Rather, each plan is assigned based on certain criteria. Plan 1 is free for college students. To qualify, you have to have a valid .edu email address and it is good for up to four years from your initial registration. Plan 2 is $1 a month. If your balance is anywhere below $5,000, you pay $1 per month for the Acorns app. Plan 3 is 0.25% per year. If your account balance is $5,000 or more, you pay 0.25% a year for Acorns. So, if you have an account value of $10,000, you would pay $25 annually. Is the Acorns App Safe? Acorns managers people’s money for its business model. If anything were to happen to anyone’s money at Acorns, it would ruin the Company’s reputation. That is one of the beauty’s of a free market system when it is free from manipulation. The best companies rise to the top. Acorns focuses on security for three reasons. One, the Company has a huge interest in protecting its reputation. Two, the Company wants to keep you happy. And three, Acorns wants more clients. So with all these reasons in mind, the answer to the question is the Acorns app safe is a resounding YES. The Company uses a remote secure server to store information on, with high level security similar to a bank, using 256 bit data encryption and the whole nine yards. Nothing is stored on your phone, so if you lose it or it gets stolen, no worries. It is all backed up on Acorns remote server. Acorns also has fraud alerts that go out to you if anything looks suspicious. Further, your money is insured against fraudulent and criminal activity including cyber-crimes by Lloyd’s of London. So if something were to happen, you would have a recourse to get your money back. That said however, if the thought of investing scares you because you don’t want to lose any money, well then perhaps the Acorn app isn’t right for you. Because remember, most “investments” regardless of how big or small will carry the risk of loss. Just know that there are other non-correlated assets that provides lifelong protection without the risk of investing in the market. In November 2017, Acorns acquired Vault, another mobile investing app that focuses more on retirement planning for Millennials who do not have access to a 401k. Acorns itself is more focused on helping Millenials invest for the here and now. The acquisition of Vault by Acorns will create a new company, Acorns Later, and potentially help Acorns’ clients think about both the present and the future and how they can create and execute their own plan for wealth building. If you want to get on the wait list, you can visit the Acorns Later site. Will Acorns Help Me Get Rich? Acorns provides an opportunity to anyone who is willing to see what a little bit of savings, bit by bit, can become over a long period of time. Too often, people don’t make big moves because they are overwhelmed with the work involved. Rather than jump into investing with both feet, the Acorns app allows you to gently wade into the financial waters. But what you will find is that over time as you check your account, your small seeds have grown into a beautiful financial tree, providing you and those you love with financial shelter in its branches. Acorns investment app currently offers five diversified portfolios to choose from, each consisting of a certain percentage of stocks and bonds. As a robo-advisor, each electronically traded fund (ETF) purchase is automated and will re-balance to the appropriate percentages to maintain the portfolio’s character. *Your Acorns investment performance will vary year to year and month to month depending how the particular sectors you are investing in perform, and how the general stock market is performing. Past performance is not guarantee of future results, and all the typical caveats. All percentages as of November 2017. The aggressive portfolio is made up of 40% large company stocks. We don’t quite know what determines what a large company is, but we assume it means stocks with large market caps, that would probably be considered “Blue Chip” stocks trading in the S&P 500. Another 40% of the aggressive portfolio is made up equally of 20% large international company stocks and 20% small company stocks. Finally, the last 20% is made up of 10% real estate stocks and 10% emerging market stocks. The moderately aggressive portfolio is made up of 38% large company stocks, 16% international large company stocks, 14% small company stocks, 10% each of corporate bonds and government bonds, with the remaining 12% going 8% to real estate stocks and 4% to emerging market stocks. The moderate portfolio allocates 29% to large company stocks and 12% to international large company stocks. 40% of the portfolio is allocated to bonds, with both government and corporate bonds at 20%. Finally, the remaining 19% is allocated between 10% small company stocks, 6% real estate stocks and 3% emerging market stocks. With the moderately conservative portfolio 60% of the assets are in government and corporate bonds. Large company stocks make up 24%, international large company stocks 8%, real estate stocks 4% and small company stocks 4%. The conservative portfolio is made up of 80% government and corporate bonds. The remaining 20% is allocated into large company stocks 12%, international large company stocks 4%, small company stocks 2% and real estate stocks 2%. With so many variable and options to choose from, your Acorns investment performance will be different than, say your friends Acorns investment performance. It also matters when you opened your account because you may have lucked out and bought at a recent market low, or you may have jumped in at the top. But if you are using the right time frame, your small acorn seeds will still grow into a mighty oak. It is no secret that Acorns app is targeting young Millenials, aka Generation Y. Millennials currently make up people between the ages of 18-34, born somewhere between 1977 to 1995, give or take a few years. But the app is also going to appeal to Generation Z. Generation Z is already making a name for itself as smart savers and hard workers. Acorns App will fit right in with Generation Z as it seeks to start making money at a young age. Generation Z has grown up on technology, and if a certain platform delivers and allows them access to the market with just a few dollars at a time, all the better. Which is why the Acorns app has struck gold, which will likely be made evident in years to come. Another way you can make money with the Acorns app is through the referral program. The current promotion offers $5 per referral. In addition, you can repeat the process of referring friends to Acorns up to 20 times, or for $100 total in any given calendar year. Instructions on how to refer a friend to Acorns for a $5 referral bonus can be found on the website, which states You can find your referral link by tapping the “Invite Friends” link at the bottom of the menu in the app. Rewards will be created when the person you refer is fully signed up and completes account verification. As a robo-advisor, Acorns has a lot of competition. However, Acorns fills a unique niche in its ability to help users take a little bit at a time and add up into something significant over the long term, while also incorporating long term retirement planning with its addition of Vault. As a result, its competition lessens significantly when you use that criteria. With that in mind, here are a few competitors to Acorns. You can click on the company for a corresponding review. Comparing Acorns vs Betterment is not exactly apples to apples. Although both are similar in fees and neither require a minimum account balance to open. In addition, both platforms use modern portfolio theory to determine the best investment vs the lowest risk. But that is where the similarities end. You see, Betterment is the original robo advisor and provides more services than Acorns, including tax loss harvesting. Although Acorns is always innovating and growing, Betterment currently holds more value for those who want a comprehensive long term investment strategy, although with Acorns recent purchase of Vault, the company is definitely making some good moves to provide more comprehensive services similar to Betterment. So which is the best investing app, Acorns vs Betterment? If you are new to investing, we really like Acorns due to its Found Money and Rounding Up features. But if you have a larger portfolio and want both robo advisor features with human certified financial planners combined, Betterment is going to be the better choice for now. The differences between Acorns and Digits comes down to what each company does with your money. Acorns will invest your money in one of 5 different investment portfolios, distinguished by risk tolerance level. Digits, alternatively, helps you save money by taking from your checking account and moving it to your savings account. Digits figures out how much you can safely stow away and transfers it over for you. Acorns charges $1 a month fee. Digits will charge $2.99 a month once you are out of the free trial period. Acorns puts your money to use. Digits has your money sit to the side, doing nothing. So which is best, Acorns vs Digits? The choice is yours. We just write the review. It is up to you to weigh the pros and cons of each and make your own decision about your money. The more you take ownership of your own money, the more financially savvy you will become. Once again, Acorns takes your spare change and puts it into a micro-investing portfolio that allows you to access large, blue chip stocks for pennies on the dollar. Qapital takes your budget and help you set aside money each month to save. You can set up “rules” that help you save. You can allow the Qapital app to round up your purchases, or you can set a rule to take a certain amount of your money and put it into your savings account every month. Acorns app charges a monthly fee of $1, unless you are a college student with a valid .edu email address. Qapital is a free money saving app. There are no monthly fees. The company makes money off fees when you use the Qapital Visa Card, which Visa pays, not you. So which is the best app, Acorns or Qapital? It really comes down to your specific goals. If you want to start investing in the market, Acorns provides a great way to get your feet wet. If you simply want to save and put some money into a “safe bucket” for a rainy day, consider Qapital. Currently, out of more than 58,700 iPhone users’ ratings, the Acorns app has a 4.7 star rating. It appears that most people are more than satisfied with the app, with many of the Acorns reviews stating the app is a game changer, as it changes how they look at saving and investing. What are the potential negatives of Acorns? The only real potential drawback that we can see to using an app like Acorns, aside from the fact that all investments can potentially lose money, is that there is a “fee” associated with using it. And while the fee may seem nominal, if you are really only depositing spare change from a few purchases every month, then it might not be as cheap as you think. You see, if you are only rounding up around $10 total a month and $1 goes towards a fee, that’s a 10% service charge. In a given year you will pay $12 for Acorns if your balance is below $5,000. So, let’s say you only manage to put $100 away for that year. $12 in account fees equals 12% of your $100 investment account. That is very high. But, if you are investing $100 or more a month, that that $1 fee really isn’t all that big of a deal at only 1%. Over the year you would have $1,200, plus any returns, negated by the $1 fee. So, if your account grew at 5% (1,200 balance times 5%) for the year and now your balance is 1,260 minus the $12 fee ($1 a month), your total returns would be .04%, rather than .05%. This is a simplistic example that does not take into account any compound interest growth you may experience. Another important point to make on the fee is that if you shop with any of the company’s that are part of Acorns’ Found Money group, you will probably get enough from Found Money to cover your account fee. For example, Thrive Market will invest $10 into your Acorns account if you sign up for a full paid membership. Additionally, WalMart will invest 1% of your purchases, up to $40 a month, into your Acorns account. Groupon offers the same $40 a month max but will invest 2% of your purchases into your Acorns’ account. So, by using Found Money partners you can basically negate any fees. Bottom line, you should look at the amount you will probably end up investing using the Acorns app and then decide if it makes economic sense to use it or not. Because at the end of the day, its important to remember that not every app is right for everyone. The good news is if you’re actively trying to save money, that’s half the battle to becoming financially solvent and not having to worry about what bill may be in the mail or what “expected” cost may be just around the corner! To which we respond, in make perfect sense for us to write about money saving apps because at the end of the day, we want all of our clients to be as stress free as possible when it comes to your personal finances and the financial security of those you love. So, if using the Acorns app helps you do this, great! Mission accomplished. And, if after saving a bunch of money, you now want to purchase a life insurance policy, even better! Interested in knowing what it would cost, just click here Term Life Insurance Quotes to compare rates. But one thing that you can rest assured with is that we here at TermLife2Go are not compensated in any way by the folks who own Acorns which is why it doesn’t matter to us one way or another if you choose to use the Acorns app. Have some feedback on the Acorn app? If so, let us know what you think by telling us what you think in the comment section below. This article is not an offer or a solicitation to buy or sell securities. Investing involves risk. Previous Post: Living Social App Review… Are those deals legit?